For a limited time, at your Volkswagen dealer. 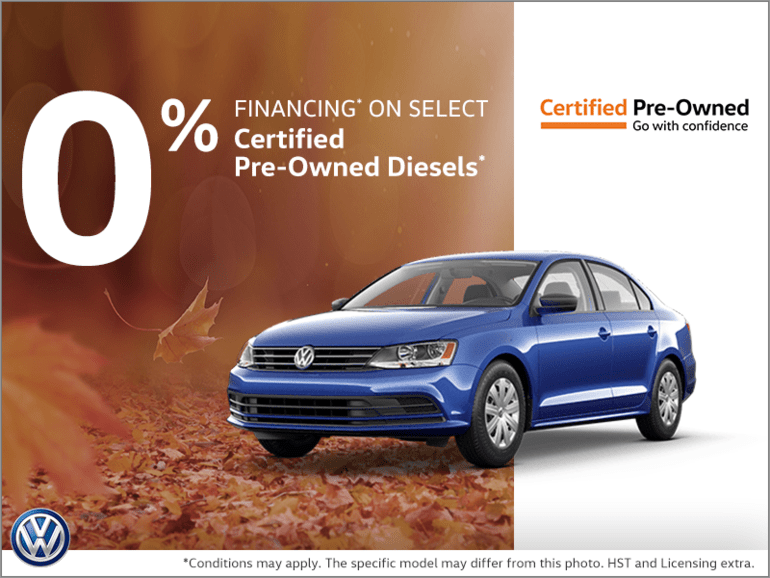 Get financing starting at 0% on select Certified Pre-Owned TDI vehicles. Certain conditions apply. This offer ends October 31st, 2018. Model shown for illustration purposes only. †Limited time finance offer available through Volkswagen Finance, on approved credit. 0% APR financing pertains to finance terms up to 48 months on all in-stock 2013 to 2015M.Y. Certified Pre-owned Jetta, Golf, Golf SportWagen, Golf Wagon, Passat and Beetle TDI models. Financing example: $10,000 financed at 0% for 24 months, monthly payment is $208.33 cost of borrowing is $0 ($46 in QC including fees related to registration at the RDPRM) for a total obligation of $10,000 ($10,046 in QC). Down payment or equivalent trade-in, due at signing, may be required. Up to $58 PPSA fee (except in QC), $10 OMVIC fee (in ON), $6.25 AMVIC fee (in AB), license, insurance, registration, up to $499 dealer admin fee (except in QC, AB, BC and AT), options and applicable taxes are extra. Offer ends October 31st and is subject to change without notice. Certain conditions apply. ΔVehicles with 2.0-litre diesel engines that are made available for retail sale or lease to customers by authorized Volkswagen and Audi dealers in Canada must have received the emissions modification or, in the case of model year 2015 vehicles, have received the first phase of the two-phase emissions modification, approved by U.S. regulators. 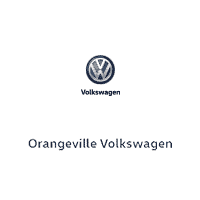 Additional conditions of retail sale and leasing may apply as determined by Volkswagen Group Canada Inc and Audi Canada Inc.”*Whichever occurs first. **Roadside assistance provided by Club Auto. “Volkswagen”, “TDI” and the Volkswagen logo are registered trademarks of Volkswagen AG. © 2018 Volkswagen Canada.